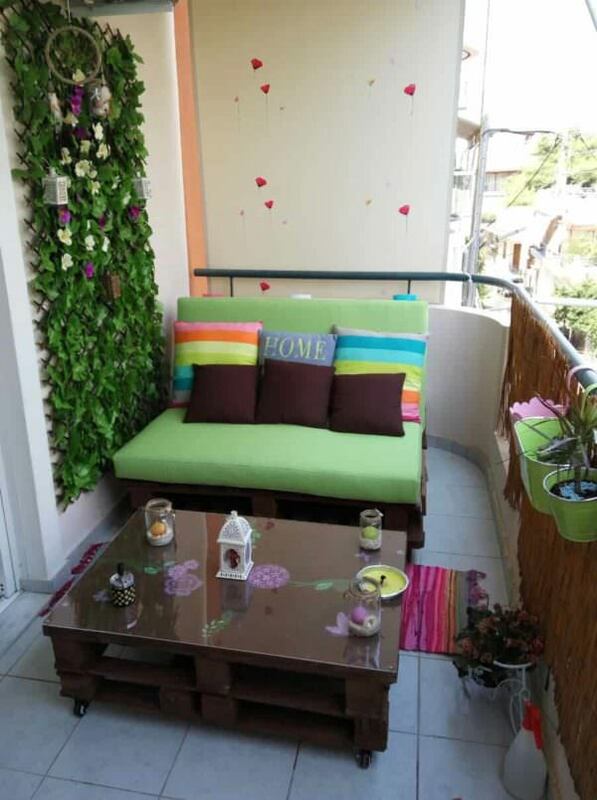 This is my Balcony Pallet Lounge Set Paradise. 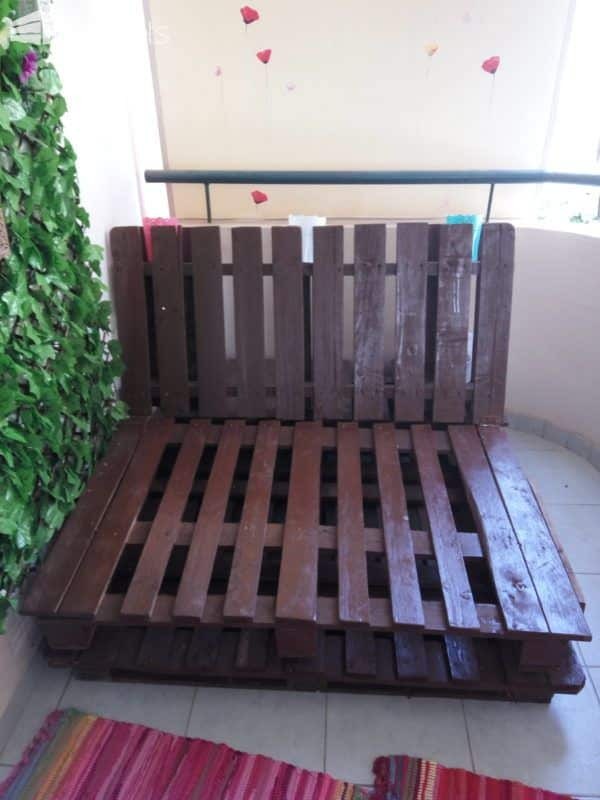 I constructed this from 5 pallets, and it only cost 30 euros (about 33 U.S. dollars) to finish this set. I made this set so that the lounger can convert into a flat recliner - almost like a futon. First, I cut one pallet in half lengthwise, cutting it just past the center set of pallet blocks. This is the backrest portion of the lounger. I attached it to the seat rest portion of the lounger with two large hinges so it can be positioned as a backrest or extended for a long, comfortable lounger. Next, I set two pallets adjacent to one another and attached them together with two large hinges. This allows the seat to be folded and double-stacked for a comfortable sofa height, or folded out to be a lounger. Then I sanded down the rough areas but left some of the characters of the pallets intact. 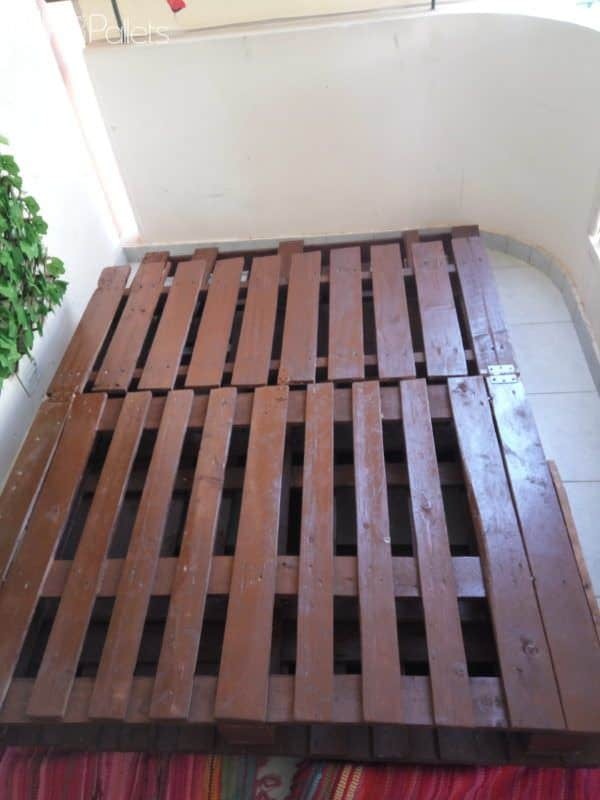 I painted all of the pallets a glossy brown color. 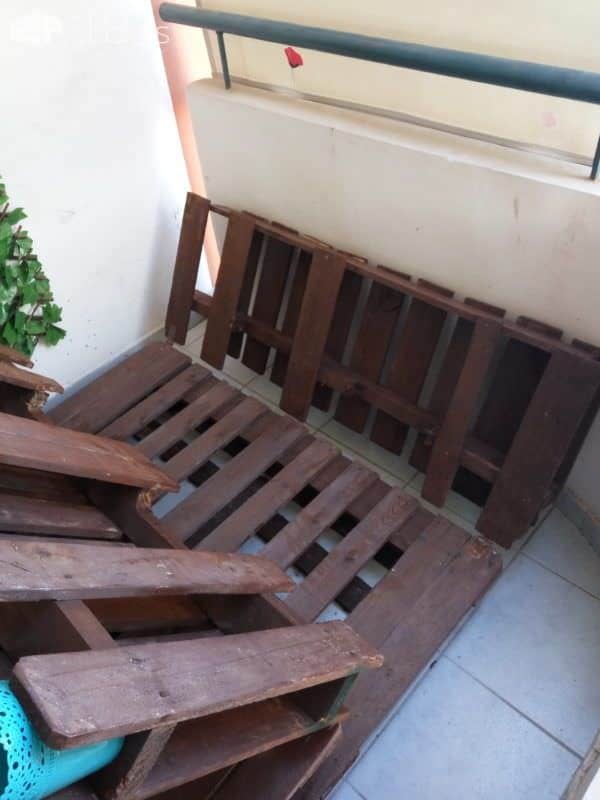 To make the coffee table, I simply stacked two pallets on top of one another and secured them together with screws. Next, I attached four small casters so I can roll it out of the way if I need. I installed a piece of plywood to make the top of the coffee table level. Then we had some fun and unleashed our creativity, adding cute flowers and leaves for a bit of flair. We finished the coffee table with an acrylic top to protect our artwork (and to make it very easy to clean). 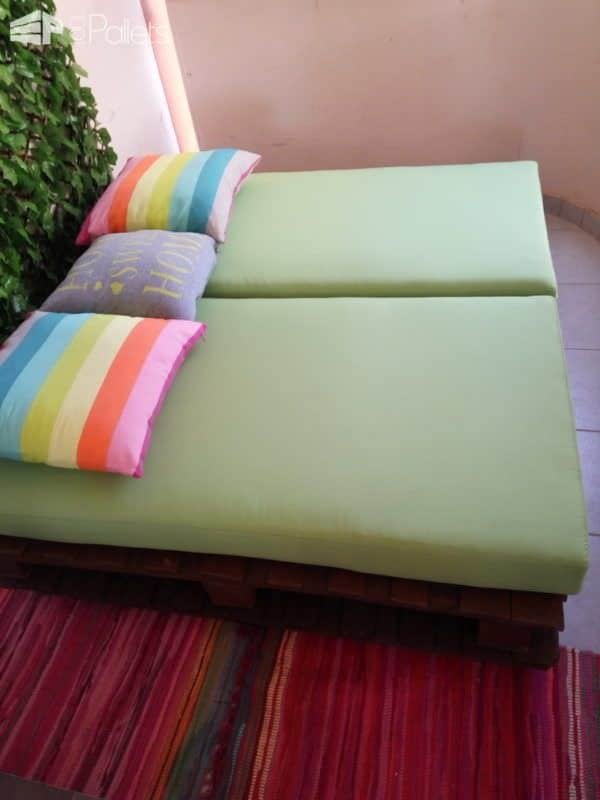 The final touches were some light green cushions and a selection of cheerful pillows. Now I have a balcony paradise area!